This battery has many uses for ATVs, motorcycles, and watercraft. It may also be purchased with an outer steel metal jacket if it may come in contact with other components or be near a heat source. Please email us if you have any questions for suitability for your application. 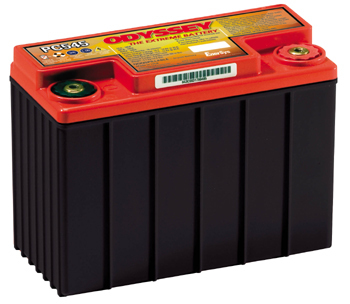 The PC545 battery has a 2 year full replacement warranty. 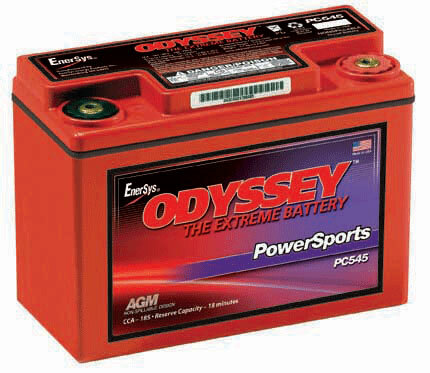 Dimensions: Length 7.00" Width 3.37" Height 5.17"
CLICK HERE to see if this PC545 battery will fit your Motorcycle, ATV, or Watercraft.